To give you an indication of what size unit you might need these equivalent van capacities and dimensions may help. If you need help calculating your space requirements call us and we will help. they are for a calendar month not a 4 week month, so you will make 12 payments per annum not 13. Not quite, there are a few restrictions but pretty much anything can be stored in these units. Over the last 10 years our customers have stored all sorts from building materials and engineering parts, to merchandising materials and high street fashion stock. Our units have been used for archiving, packaged foodstuffs, and office furniture… the list is endless. Can I get to my stock early in the morning, late at night or at weekends? Yes, Thames Self Storage facilities are open 24 hours a day 7 days a week including Christmas Day and Bank Holidays. You can come and go as you please and we can arrange additional locks and keys if you have a number of staff who need access. We use double skinned, steel shipping containers that will protect all goods from the outside elements and condensation internally. Our units are all purchased new and never leave the storage facility. We have an Access Control System for the only entry and exit point into the facility, which enables us to monitor and control all entry to the site. 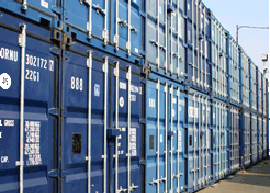 We consider that our containers are more secure than warehouses because fire would not spread from one container to another, whilst vermin infestation and suchlike is almost unknown. Can I use my own padlocks? Thames Self Storage provide all such items. We cannot allow you to use your own padlocks because we may be required to be able to open the units for health and safety and/or legal reasons. Should the police or other authorities arrive with proper warrants, we would be required to open the unit. In this eventuality you would be informed as soon as we could get hold of you. Can I increase and decrease my storage needs with my seasonal activity? Our storage is the perfect solution for anyone who has varying storage needs. Instead of having the expense of your own warehouse space, which may be hugely underutilised at times in the year, you just pay for storage you need as and when you need it. You can add and reduce the number of storage areas you have according to your own business needs and demands….. and we offer improved terms whilst you have multiple units. Talk to us about your pattern of needs and we will help you get the best value from you storage spend. Can I store for either long or short term requirements? Thames Self Storage allows companies to store their goods for long or short periods without the need to commit to a time-frame. Long-term users can, however, take advantage of a range of discounts based both on length of term and numbers of units needed. 12 months in advance: 10% discount. We will also offer discounts for multiple units on request. No problem. We tend to keep the downstairs units for the commercial market whenever possible, simply because they like to be in and out quickly. 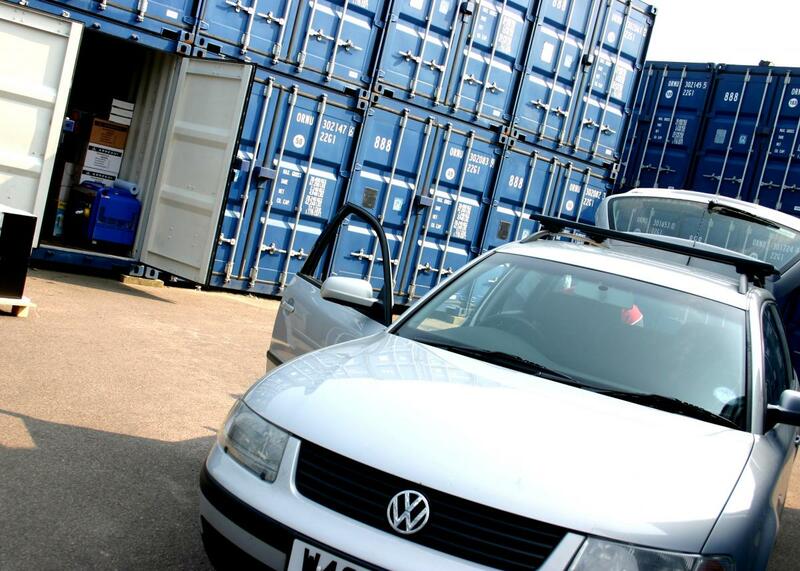 It means that you can drive your car or van to the doors of your storage unit and load and unload in minutes. Although we have floodlights for the common areas there is no lighting or refrigeration in the units. We would advise that you bring a torch after dark if you wish to work inside the storage area at night. Do you have FLT facilities to offload? We have pallet trucks on site to help move supplies about, we do not have an FLT. On occasion we can arrange one-off FLT facilities by prior agreement, but you will have to pay for this. It cannot be regular requirement or last any significant length of time. Can I have supplies delivered to the site? Yes you can, but you or an authorised member of your team will need to be on site to accept delivery. Large delivery lorries can only be allowed onsite with prior agreement with Thames Self Storage. Can I bring customers to my unit? Unfortunately this is not allowed under the terms of our lease, so you cannot trade from the storage facility. We are also not insured for this, so we have to strictly control any attempted trading activity. Is the facility suitable for archiving? Thames Self Storage only requires 14 days’ notice of termination.